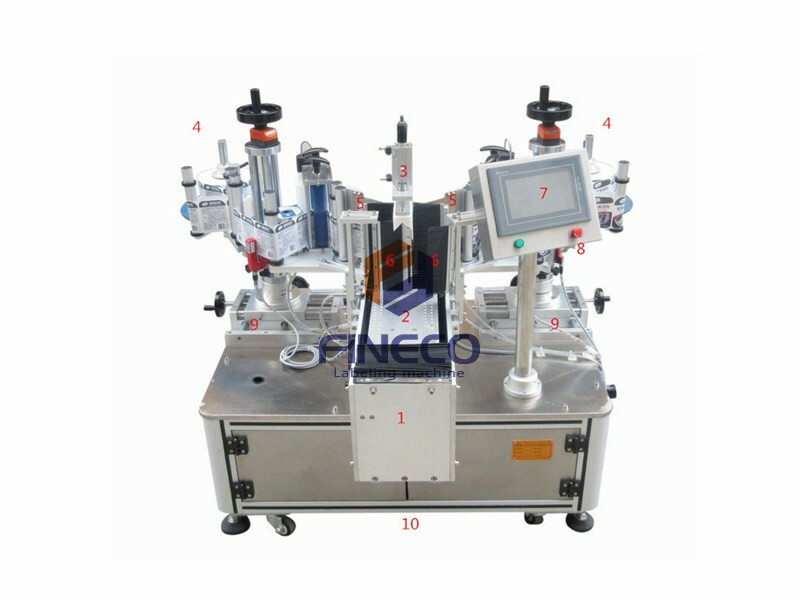 labeling on the top,core of the labeler,including label-winding and driving structure. labeling on the bottom,core of the labeler,including label-winding and driving structure. keep products go straightly, can be adjusted according to product size.